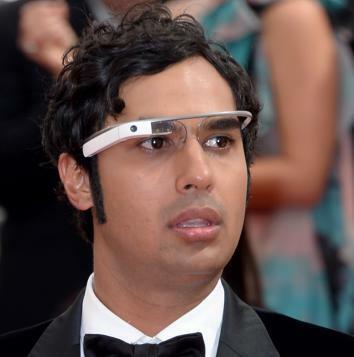 Google Glass banned from UK movie theaters out of misplaced piracy fears. Sorry, Mr. Nayyar, we’re going to need you to put those away before you go inside. Cinemas across the United Kingdom are banning Google Glass, the Independent reports, out of fear that people will use it to surreptitiously record and pirate movies. The fiat comes from the Cinema Exhibitors’ Association, a trade group. “Customers will be requested not to wear these into cinema auditoriums, whether the film is playing or not,” said Phil Clapp, the group’s chief executive. It isn’t just the Brits who are cracking down on Google’s high-tech specs. Earlier this year a Glass-wearer was hauled out of an AMC theater and interrogated by FBI agents in Columbus, Ohio. He explained to the agents that he couldn’t just take the device off, because it was attached to his prescription lenses. That apparently didn’t stop them from detaining him for an hour and going through all his photos and personal data. It should be apparent to anyone who has ever used Google Glass that the paranoia is unwarranted. The device can record video, but the quality is low, and the audio quality is even worse. And it can only record for 30 to 45 minutes before the battery runs out. More importantly, as I explained last year when I called Google Glass “the world’s worst surveillance device,” there’s a red light on the front of the device that blinks on and stays lit whenever it’s recording. In a pitch-dark theater, surreptitiousness is pretty much out of the question. You know what does records audio and video in higher quality, doesn’t have a bright red light on the front, and could capture an entire movie? The smartphones that just about everyone carries into theaters these days. Google Glass might be newer and therefore scarier to people than smartphones, but there’s no good reason it should be treated differently in a movie theater. Moviegoers wearing prescription Glass should simply turn their face-computers off before the film starts, the same way they do with their pocket-computers. And for those with non-prescription Glass, this shouldn’t even be an issue: You don’t need the Cinema Exhibitors’ Association to tell you that you’ll be able to see the movie better without an extra screen stuck to your head.